The city of Chicago is well on its way to becoming the country’s new food capital. 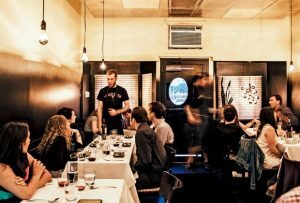 There’s a remarkable concentration of award-winning chefs who have migrated to the Windy City, opened their own restaurants, and who have gone on to recruit even more rising chefs. They’ve formed partnerships and built up strong culinary teams, creating an impressive network of talent. While most go into the field with a formal education background in culinary arts, working under some of these pioneers is the best education a young chef can ask for. It doesn’t matter if you’re a local or a tourist or just someone who hopes to go one day: if you’ve ever stepped foot into or even simply researched Chicago, you know that it’s a diverse city with dynamic neighborhoods, an important factor in the equally dynamic food scene. 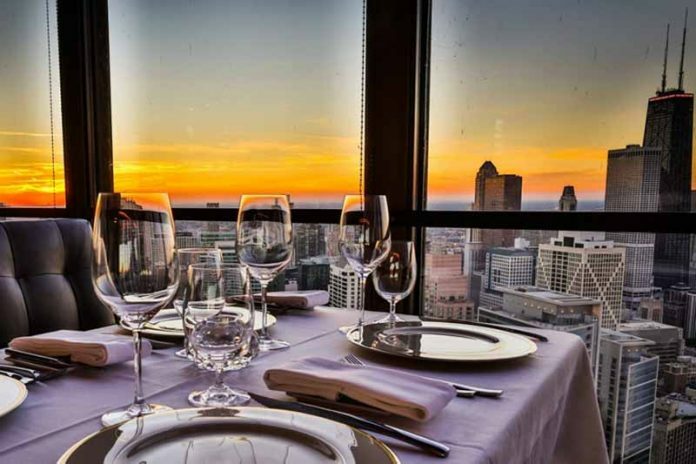 Naturally, one of the essential components of living in or visiting the city is to experience its cuisine, so read on for our top ten recommendations of Michelin-star rated restaurants in Chicago. Chef Ryan McCaskey can’t remember a time when he didn’t want to open his own restaurant. Born in Vietnam, McCaskey was brought to the U.S. at the height of the Vietnam War and was adopted by a family in a suburb of Chicago. 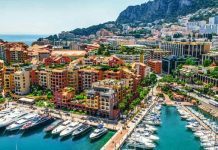 He grew up surrounded by a family with a love of cooking, and after attending a culinary arts school, he worked at prominent restaurants in Maine and Wisconsin before returning to Chicago. McCaskey started planning for Acadia in 2010, which opened a year later and received its first Michelin star just ten months after opening. In 2015, it became a two-star rated restaurant, an honor it has retained every year since. McCaskey prides himself on a harmony of classical cuisine and contemporary, subtly layered flavors. He draws much of his inspiration from his time in Maine, with many of his key ingredients on his menu sourced from Penobscot Bay and surrounding areas. Ambience/Décor: Upscale, clean, sleek, chic, charming. Service: Hit or miss, not quite as prompt as expected. Food: Artistic plating, exquisite flavors. Worth its 2 stars despite the slightly-out-of-the-way location. Can’t-miss: Acadia is famous for its burger – medium-rare with bacon onion jam, truffle sauce, and gruyere. Don’t skimp on drinks: with ingredients like toasted corn flakes, vanilla bean froth, and tomatillo agave syrup, the cocktails are innovative without seeming over the top. 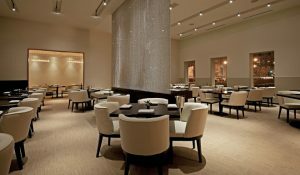 Opened in 2005 by Chefs Grant Achatz and Nick Kokonas, Alinea was reinvented in 2016. The restaurant now offers three separate dining options: The Gallery, The Salons, and the Kitchen Table, each with its own appeal. Alinea is Chicago’s one 3-Star rated restaurant and one of only 13 restaurants in the U.S. to earn three Michelin stars. In 2016, it was named the top fine dining restaurant in the United States by TripAdvisor and one of the ten best restaurants in the world. Alinea is proof that true excellence is all about creating a holistic, comprehensive dining experience. The décor, atmosphere, service, menu, and presentation are all equally exquisite and crafted with meticulous care. Dining at Alinea promises to be a memorable and even provocative experience. Ambience/Décor: Classy and upscale as expected, but it’s the details of the experience that create a special atmosphere. 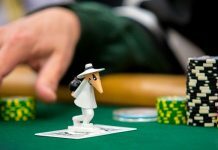 To avoid spoilers, suffice it to say that there are more than a few interactive surprises in store. Service: Staff members are well diligent, offering a perfect blend of attentive, friendly, and knowledgeable. Food: The dishes are playful, innovative, and experimental while being both delicious and filling. Can’t-miss: An earlier reservation will make a huge difference. Dining while the restaurant is crowded means being able to see what others are eating. The earliest timeslot ensures that surprises won’t be ruined by other diners who are further along in their courses. The first Michelin-starred brewery, Band of Bohemia’s success rests fully on the synergy of its team, appropriately known as “The Band”: Alinea alumnus and co-founder Michael Carroll got his start in 1995 and spent the next twenty years traveling in search of new flavors and techniques. Carroll plays the role of head brewer, inventing recipes that perfectly complement the food menu. Co-founder Craig Sindelar served as Head Sommelier at Alinea from 2006 until Band of Bohemia opened in 2015. Carroll and Sindelar are joined by Head Chef Ian Davis and Tom Santelle, Head of Coffee and Tea. The team is united in the collaborative effort to create a perfectly balanced menu with complementary offerings that create a cohesive dining experience. Ambience/Décor: Vintage-rustic industrial vibe infused with tasteful elegance. Food: Top quality ingredients, distinct flavors, creative and diverse with a frequently changing menu, excellent pairings. The “Small Plates” are a great way to sample everything. Can’t-miss: The unique thing about Band of Bohemia is its pairings-based philosophy. Take advantage of the fact that it’s also a brewery. Trust the staff – they’re extremely knowledgeable and will offer surefire recommendations for surprising and perfect pairings for whatever courses you’ve chosen. Though the beer offerings are unlike anything you’ll find elsewhere, if you’re not a beer drinker, the wine menu is equally impressive. Blackbird Restaurant is perhaps the restaurant on this list that most embodies the strong interplay between a neighborhood and its cuisine. Self-described as “elegant and imaginative Midwestern,” Blackbird’s cuisine is a celebration of the dynamic relationship between cuisine and its locale. This is a seemingly modest claim but one that the restaurant delivers on consistently and with surprising results. In commemoration of over twenty years of excellence, Blackbird is holding “Blackbird at 20,” a series of events featuring special collaborations with Blackbird chefs Paul Kahan and Ryan Pfeiffer and guest chefs from all around the country. In keeping with their philosophy, the event is a celebration of diversity and evolution in cuisine. 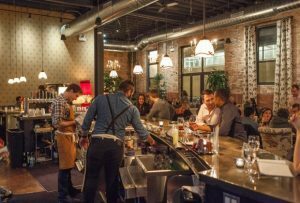 With these events, the restaurant demonstrates its commitment to refresh and revitalize its offerings as the neighborhood around them grows and changes. Ambience/Décor: Sharp, sophisticated, and clean. Service: Mostly positive with rare accounts of some disorganization or hiccups. Food: Classic but dynamic with creative but approachable flavors. Can’t-miss: Looking to enjoy an experience at Blackbird without breaking the bank? The lunch prix fixe menu is just $25 per person – that would be considered a steal at any Michelin-star rated restaurant. Boka was founded by Kevin Boehm and Rob Katz, whose last names merged (“Bo” and “Ka”) to form the name of their first restaurant. 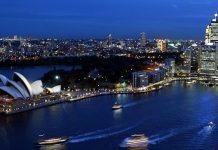 It first opened in October 2003, the flagship of Boka Restaurant Group, which would go on to become a formidable collection of dining establishments that can be found all across the city. 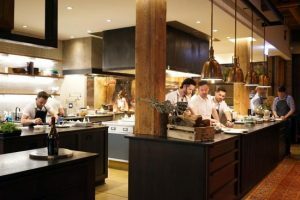 Boka and many members of its staff have earned a number of other accolades including multiple Chef of the Year and Restaurant of the Year awards. It’s also consistently ranked on OpenTable’s list of Top 100 Restaurants. What makes this Michelin star-rated restaurant so memorable is its elegant yet approachable atmosphere, created by the décor, service, and most of all, its food. There’s nothing overdone about any aspect of the Boka experience – no impossibly tiny portions or intimidatingly complicated dishes. It’s simply excellent food. Ambience/Décor: Romantic, whimsical, relaxed, upscale yet completely unpretentious and inviting. Service: Charismatic, attentive, and highly accommodating for dietary restrictions and special requests. Food: Complex and original flavors, refreshing presentation, perfect portion sizes. Somewhat limited menu options but frequent seasonal changes. All dishes are consistently outstanding, including two types of complementary bread and butter. Great value for the price. Can’t-miss: The menu is seafood heavy and doesn’t disappoint, the octopus and scallops in particular. For non-seafood lovers, the short ribs, duck, and shaved foie gras also came highly recommended. Dusek’s Board & Beer is a gastropub that’s all about the diner’s comfort – especially when it comes to comfort food. It’s an inviting space, all burnished wood and warm lights. With offerings like chicken and waffles, sausage sandwich with fries, and fire-roasted sourdough pretzels, Dusek’s manages to provide down-to-earth dishes with a twist that elevates the flavors from simple to sublime. Local flavors are punctuated by Southern accents as well as some Mediterranean, Middle Eastern, and East Asian influences as well. 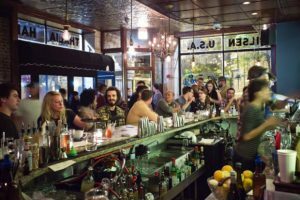 For diners who are looking less for comfort food and more for conventionally “fancy” dishes, Dusek’s also offers options like black truffle and foie gras, steak tartare, and seared duck breast. Ambience/Décor: Warmly intimate, laidback, energetic atmosphere with a rustic, tavern-like layout and decorations made of upcycled materials. Service: Welcoming and attentive, but not always as organized or prompt as expected. Food: They manage to offer familiar dishes – not always what Michelin restaurants are known for – but with a creative and fresh take. Don’t be deceived by how “ordinary” the menu sounds; there’s nothing ordinary about it. Can’t-miss: Wide range of craft beers. These are guaranteed to go perfectly with the food – be sure to ask the staff for recommendations. Like Dusek’s, EL Ideas is all about approachability. Make no mistake – it’s still a fine dining experience, but it’s one that also makes it impossible to feel out of place. The unusual layout has diners seated in a space that’s separated from the kitchen area by just a waist-high partition instead of fully separate rooms. This fosters frequent interactions and a sense of intimacy between restaurant guests and chefs, eliminating any possibility of a stiff atmosphere. The food itself is whimsical and modernist: it includes renditions of simple foods, like a standard milkshake becomes a French fries, leek, and ice cream shake. A blackberry sorbet is transformed with the addition of white chocolate foie gras. Diners are encouraged to eat in unconventional ways, which means that dining feaux pas don’t exist, so get ready to lick the leftovers off your plates. It’s also one of the rare BYOB establishments with no cork fee. 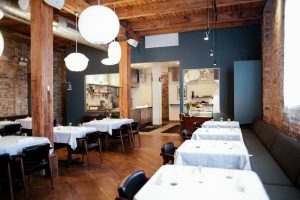 Through this approach, Chef and owner Phillip Foss manages a unique combination of avant-garde and familiar. Ambience/Décor: Casual, energetic, funky. Entirely unpretentious with a dinner party vibe. Service: Friendly, down-to-earth, and outgoing staff. 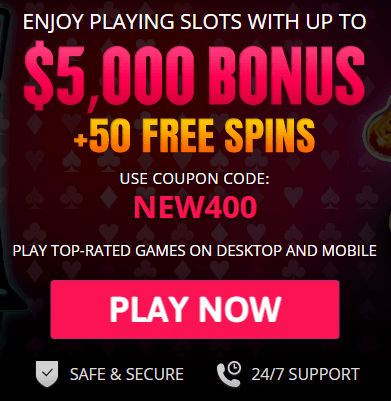 They go out of their way to be informative and accommodate special requests. Food: Whimsical, modernist, out of the box. Execution is extremely experimental, including how guests are instructed to eat each course. Can’t-miss: The entire EL Ideas experience is a must for any foodie. 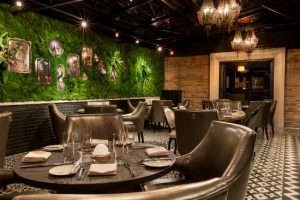 Take advantage of the unique atmosphere – talk to the waiters and the chefs and soak in the distinctive, one-of-a-kind EL Ideas atmosphere. It might be out of the way, but it’s well worth a visit. Oriole is a 2-Star rated restaurant tucked away in Chicago’s West Loop neighborhood. With a back-alley entrance and a tiny, nondescript sign, it’s easy to miss, but after the first bite of your first dish, it will be impossible to forget. Almost every item on the 15-course menu will have at least one or two foreign-sounding ingredients, and each course is another step in a carefully woven journey. Even with the exotic names, Head Chef Noah Sandoval doesn’t depend on gimmicks to wow his guests. It’s his imagination, understanding of the complexity of various flavors and textures, and meticulous attention to detail that create a truly unforgettable dining experience. That same attention to detail extends beyond the menu. Everything is curated, down to the floss and mint-stocked bathrooms. Ambience/Décor: Contemporary, upscale yet industrial (warehouse chic), spacious with an open kitchen. Service: Oriole prides itself on focusing fully on the diner’s experience. The staff is attentive, even walking guests to the bathroom each time. Guests celebrating birthdays or anniversaries reported receiving a card signed by all of the staff members. 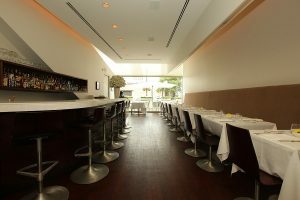 Food: Oriole has a set menu with highlights like Osetra caviar, foie gras, and Japanese A5 wagyu. Can’t-miss: It’s hard to go wrong with anything at Oriole. That said, if you’re looking to venture out of the traditional wine pairing route, the non-alcoholic offerings come highly recommended. 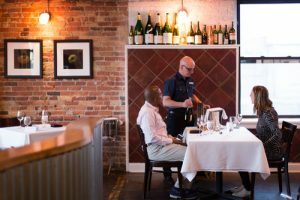 Schwa opened in 2005, and Chef Michael Carlson’s style has evolved over time to reach a peak in artistry, with a menu that offers a multitude of tastes in one sitting. 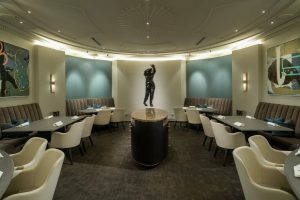 His restaurant has remained a staple of Chicago’s foodie culture – in fact, the head chefs and owners of many newer Chicago restaurants cite Carlson as a major influence and source of inspiration. Carlson’s dishes are innovative and beautifully constructed, yet there’s nothing unapproachable about Schwa’s food or atmosphere. Chefs will talk to guests about their experience, stories behind dishes, and new ideas that they have for menu changes. Dining at Schwa is guaranteed to be a thought-provoking experience. Ambience/Décor: Simple, casual, eccentric, urban, energetic music. Service: Kitchen staff doubles as waiters, creating a friendly and familiar dynamic among the guests and staff. Food: Complex flavors. Playful menu with options like banana puree with Parmesan, pizza cotton candy, and more. BYOB is encouraged, which fosters a low-key vibe. Can’t-miss: Schwa is ranked on Foursquare as the #7 restaurant in Chicago for ravioli, thanks to its legendary liquid quail egg yolk rendition. Founded by husband-wife team John and Karen Shields, Smyth offers three tasting menus for guests to choose from: 5-course, 8-course, and 12-course options. They are designed to be experienced as a journey that parallels the Shields’ experiences ranging from their time in Smyth County, Virginia to their present-day. The power couple manages to maintain both culinary excellence and a rare atmosphere of “come as you are” ease, and they strive and succeed in creating an exhilarating roller coaster experience. They pride themselves on pairing the familiar with the sometimes ridiculously unexpected (and even downright weird), but every dish is strongly and unmistakably rooted in an impeccable composition of flavors. Take their famous dessert, available on all three tasting menus: egg yolk in salted licorice with frozen yogurt meringue. Karen Shields’ invention transforms the outside of the egg yolk into licorice and the inside to a creamy custard, which mingles with the frozen yogurt and some black raspberry jam. Food: Innovative, surprising, strongly flavored. Can’t-miss: The tasting menus are set with some overlap, so if your budget isn’t a factor, check out the different combinations to see what appeals to you. Available only on the 5-course and 12-course menus: Dungeness Crab & Foie Gras With Scrambled Kani Miso. On the 5-course and 8-course menus: Brioche Doughnut With Aged Beef Au Jus.